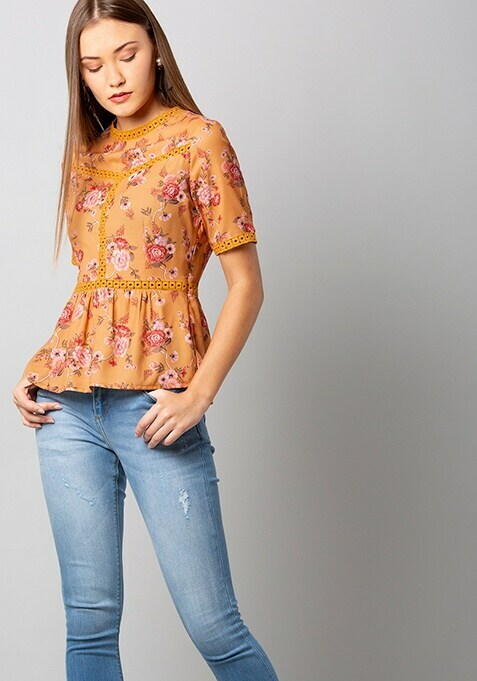 Spice up your summer wardrobe with this flower power mustard top. Featuring lace insert and a peplum silhouette. Work It: Pair this top with ripped shorts and sneakers for a weekend worthy look.